“All happy families are alike; each unhappy family is unhappy in its own way.” Leo Tolstoy’s famous introduction to Anna Karenina is equally applicable to two recent novels: Pachinko by Min Jin Lee, and The Immortalists by Chloe Benjamin. Both feature their own brands of magic, joy, and personal tragedies, and both are compelling family sagas. 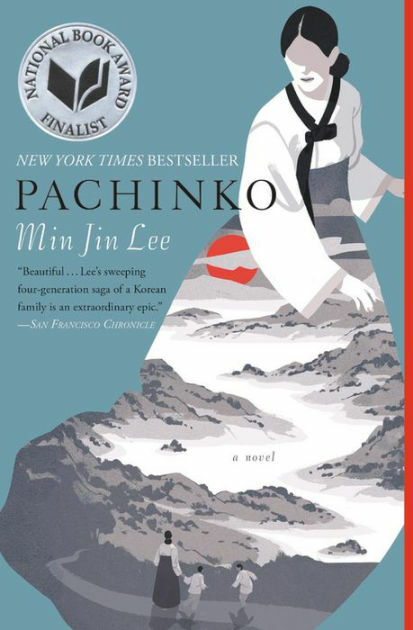 Pachinko depicts four generations of a Korean family in exile, struggling to succeed as immigrants in Japan during the twentieth century. In the 1930s, Sunja Baek, the beloved daughter of an impoverished fisherman in Korea, falls for an enigmatic Korean businessman married to a wealthy woman in Osaka, Japan. When she discovers that she is pregnant, she refuses his offer to become his mistress in Korea, marrying a kind Protestant minister who knows of her status while promising to take the child on as his own regardless. Her sickly, gentle husband takes her to live with his businessman brother and sister-in-law in Osaka, where he will become a leader in the small Christian community there. As Sunja acclimates to the dilapidated Korean ghetto in Osaka, she finds a way to scratch out a living with her new brother-in-law and sister-in-law, who have carved out their own place with a small house. When her husband takes on a low-paying job as a pastor, she must find a way to make ends meet by selling food in the marketplace, having two children in the process and building a family in a new world. As World War II approaches, Sunja’s family suffer increased indignities as food supplies grown short and Koreans suffer the most from shortages in Japan. Living the life of a despised immigrant, her strength carries her family through the difficulties inherent in their circumstances. Pachinko becomes a story of the lives of Sunja and her descendants’ lives until 1989. Disreputable pachinko parlors become one way for them to make a living and flourish in their own way, despite engrained Japanese prejudice towards even Koreans born in Japan. There is no turning back, as a decimated and impoverished Korea in political turmoil no longer has a place for them. Min Jin Lee has written a gorgeous family saga that carries one on a swift current, rejoicing in their hard-won successes while absorbing their indignities and tragedies through World War II and onwards. This complex epic of survival and triumph reveals Sunja’s family members trying to create their own sense of home within Japan. 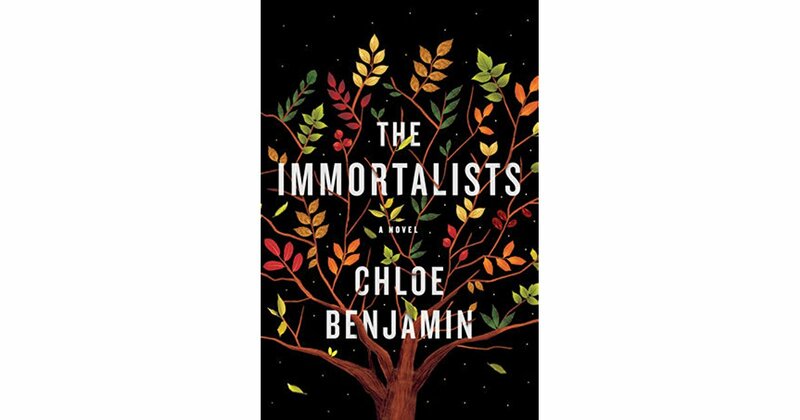 In The Immortalists, Chloe Benjamin paints a portrait of the Golds, a Jewish family growing up on the Lower East Side, depicting their lives together and apart as adulthood and the knowledge of their own deaths splits them and sends them spinning off into their destinies. In 1969, Varya, 13; Daniel, 11; Klara, 9; and Simon, 7; set out to find a peripatetic fortune teller who can only be found by hearsay. Her charm is her exciting reputation for being able to tell the exact day and year of someone’s demise. When they finally find her, she shakes their complacency, even as they dismiss her claims. Her predictions cause them to solidify their plans for the future and scatter in different directions. As a newly minted adult, Simon has no interest in taking over his father’s dressmaking business or living in New York as his mother’s mainstay. His professed death date causes him to take a chance and head west to San Francisco with his sister Klara, who has graduated high school wanting to become a professional magician. In San Francisco Simon fulfills himself as a professionally trained dancer who also works in a club, while Klara pursues her goal. In the meantime, Daniel becomes a doctor inspecting soldiers for their fitness to go overseas and Varya, overly responsible and rigid, becomes a scientist studying longevity and how to apply the lessons she’s learned. As they all approach their supposed ends, they must decide how and if they will live fruitfully. As a result, the siblings’ journeys ultimately become passages to decide how they want to live and become their chosen selves without procrastination. Chloe Benjamin’s moving story of brothers and sisters becomes its own shadowed fairy-tale. Although unlike Pachinko, The Immortalists is also a story of heartbreak and triumph over the decades. The thread of magic weaving through the story enchants the reader into following the paths of the Gold siblings, rooting for their successes and hoping that their journeys to take control of their destinies will help them best use the time and knowledge they have been given.